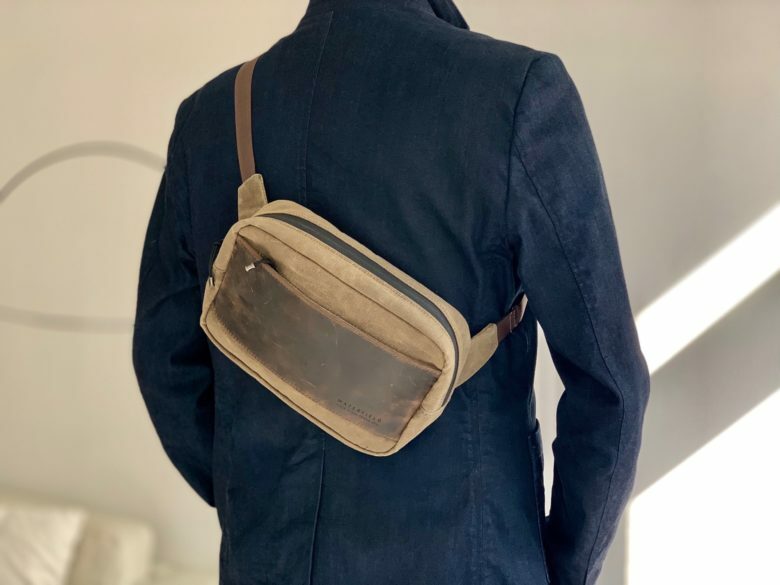 The Sutter Sling carries everything a hipster needs to survive. 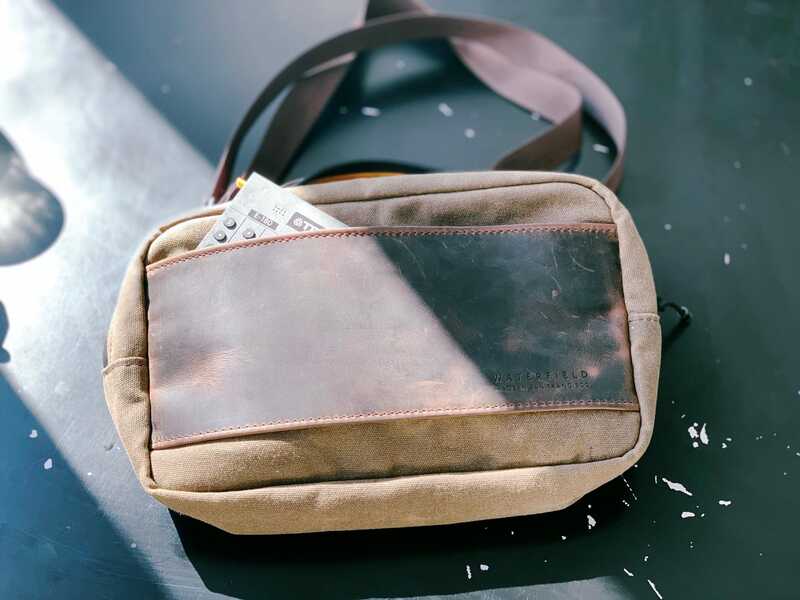 The Sutter Sling Pouch comes from long-time friends of Cult of Mac, WaterField Designs. 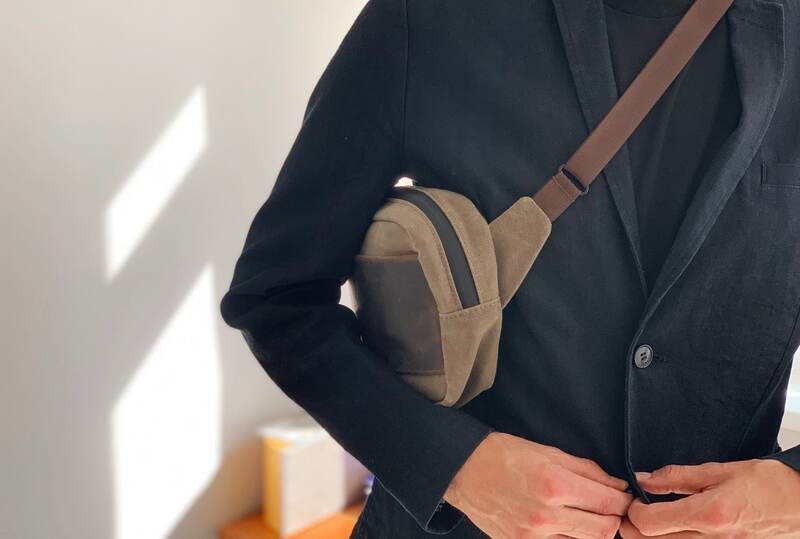 It’s a cross-body sling that is smaller than a messenger bag, but big enough for the essentials. 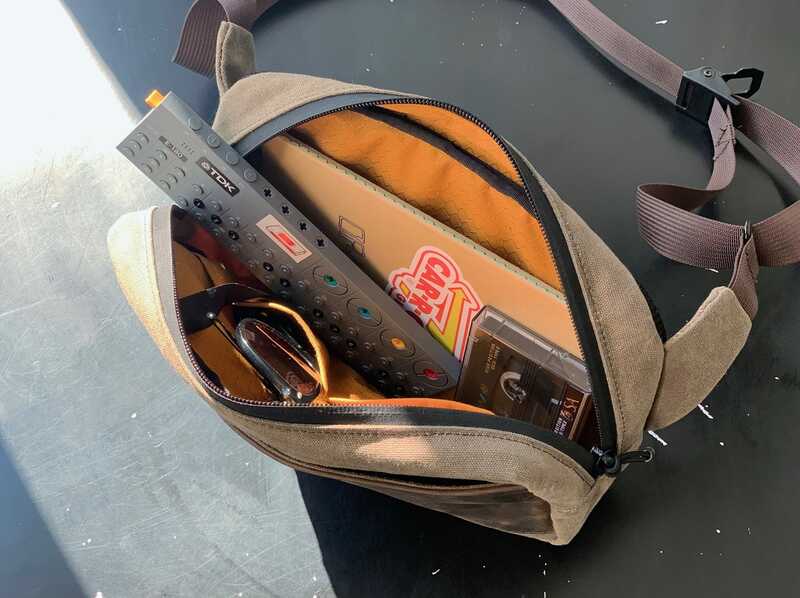 The strap has a metal cam lock so you can cinch it tight, which is handy for keeping the bag under an arm in dodgy neighborhoods, or keeping it on your back when biking. You can also quickly swing it to the front, and open it up to retrieve your wallet or shades. In this mode, it stays mounted on your chest, like a high-up kangaroo pouch. I love this for shopping, as I don’t have to take off a backpack every time I want to pay for something. Amazingly, all that fits inside without stuffing the Sutter Sling full. Inside, there are two side pockets plus a key hook. On the front is a plush-lined pocket, ideal for your iPhone or even something a little bigger. You can comfortably slip an iPad mini into the main section, too — the Sling measures just over 10 inches long. The Sutter Sling Pouch is happy crammed up under your armpit. Other nice touches are the padded, sweat-wicking mesh panel on the back (watch out for this on slippery jackets, as it can slide over them easily, instead of staying in place on your back if you ride a bike), and water-sealed YKK zippers, which feel very solid. Goodbye — and good riddance — to pockets. Anyway, do yourself, and your overtaxed pants, a favor. Buy yourself a Sutter Sling Pouch, in 1050 Denier black ballistic nylon or brown waxed canvas.